SIGNIFICANT openings are now being created for both China and Europe by the convergence of the EU’s Juncker Plan for increasing infrastructure investment and China’s Belt and Road Initiative. This convergence was emphasized on the EU side during a trip to Beijing by Jyrki Katainen, EU Commission vice president in charge of jobs, growth, investment and competitiveness. China and the EU established a joint working group to develop this and other forms of cooperation, which includes experts from the EU Commission, and the Silk Road Fund – a US $40 billion fund established last year to support China’s “Belt and Road” infrastructure policy across Asia. There are two interrelated major aspects to this development. The first is the practical importance of infrastructure cooperation. The second is the way it illustrates China’s growing role in what is termed in the West “thought leadership” – that is in determining the global economic policy agenda. The contrast between China and the EU’s economic performances since the beginning of the international financial crisis is clear. In the eight years between the third quarter of 2007 and the third quarter of 2015, EU GDP expanded by a total 2.7 percent – an annual average 0.4 percent. In the same period China’s GDP grew by 88.8 percent – an annual average 8.3 percent growth. China’s economy thus grew 20 times as fast as that of the EU. There is no mystery as to the reason for the different economic performances. From 2007 to 2014 – the latest available annual data – all major components of the EU GDP increased except for fixed investment, which remained 12 percent below its 2007 level. In the same period China’s fixed investment rose by 110 percent. While the EU underwent economic stagnation due to falling investment, China’s economy thus grew rapidly due to its growth. The Juncker Plan attempts to tackle this EU problem. Its aim is to create €315 billion of new investment – largely of infrastructure focusing on transport, communications and clean energy. A key background to this is that prominent Western economic analysts, such as former U.S. Treasury Secretary Laurence Summers and Martin Wolf, chief economics commentator of the Financial Times, had argued that infrastructure investment is key to breaking out of slow Western growth following the financial crisis. The Juncker Plan was the first major step by the EU in this direction. The overlap of the Juncker Plan’s ideas with China’s Belt and Road Initiative is evident. China’s new distinctive idea in the Belt and Road Initiative, as with parallel ones such as the Asian Infrastructure Investment Bank (AIIB), is that of explicitly tying together trade and infrastructure investment initiatives. The first success illustrating the power of China’s new form of economic initiative was the U.K.’s decision, followed by other major European countries including Germany, to join the AIIB despite U.S. objections. The convergence of the Juncker Plan with the Belt and Road Initiative is an example of the same process involving an even greater number of European countries. At first sight it might appear strange that the idea of closely linking trade and infrastructure investment was not put forward earlier by Western leaders. The beneficial economic effects of both trade and investment, and the correlation of the two, are well established in economics. The classic “Western” study of the advantages of “openness” in trade by Sachs and Warner found: “Open economies had significantly higher investment-to-GDP ratios, and that [an open economy] raised the investment ratio by an average of 5.4 percentage points.” Therefore why was it China that first explicitly linked these in a coherent new international policy? Practically, China learnt from the advantages of its domestic economic structure compared to the West. The Western private sector economies are dominated by the mantra “private is good, state is bad.” Therefore proposals for inevitably state-led infrastructure investment by Summers, Wolf, etc., encountered fierce ideological opposition, as well as few strong structures existing to implement the policy. In contrast, in China, as recently restated by the Third Plenum of the 18th CPC Central Committee: “We must unswervingly… give full play to the leading role of the state-owned sector.” In China’s economy both a private and state sector exist, and the state can therefore play a key role in initiatives such as infrastructure investment. In parallel with China’s practical advantages, Chinese economists began to develop international policies based on infrastructure development. Justin Yifu Lin, former chief economist and senior vice president of the World Bank, in his 2013 book Against the Consensus entitled a section “Infrastructure investments – beyond Keynesianism” – a self-explanatory proposal intended for multilateral action. 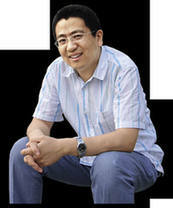 Lin’s proposals, however, were not taken up by Western countries for reasons similar to those why Summers’ and Wolf’s were rejected. But if such an initiative was initially rejected by Western countries, it was taken up by the Chinese government and aided in policy formation by China’s new think tanks. On the “Belt and Road” a leading role was played by my Chinese colleagues at the Chongyang Institute for Financial Studies of Renmin University, under the personal direction of its Executive Dean Wang Wen, who not merely provided studies but also took numerous practical initiatives. Finally, to add a theoretical point, China’s economic framework makes it much easier to see and understand the close link between investment and trade. In the framework of Western economics, trade and investment are separate categories. In China’s Marxist economy the concepts of trade and investment are not separate but examples of growing “socialization of labor” – the link between the two is therefore easily seen. For these interrelated reasons China was able to show both practical and thought leadership in first linking investment and trade in the “Belt and Road,” the AIIB and parallel initiatives. The EU, going in the same direction with the Juncker Plan, now creates favorable opportunities for both Europe and China.